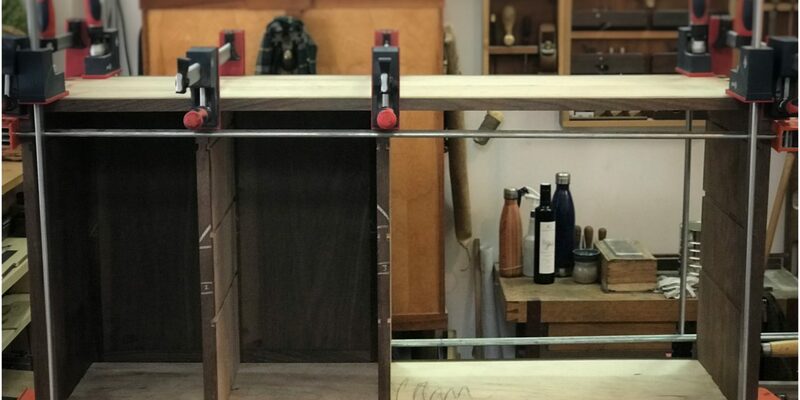 Tool storage cabinet resting in clamps after glue-up. Here's a quick episode showing the tool storage cabinet glue-up. I decided not to add the door as it would have been too long and would stick out when in the open position. I'm sure I'll eventually come up with something for this area and can simply retrofit the cabinet at that time. We'll see if Roubo enjoys the new space.